Gresham High School performs 'Les Miserables' as last play in longtime theater. 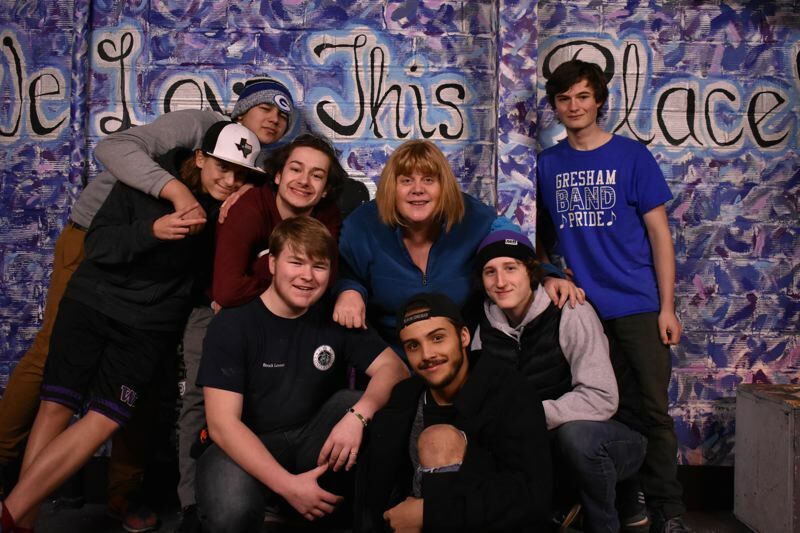 As a teenager, Gresham High School Theater Director Sara Dempsey had the opportunity to see "Les Miserables" performed by the original cast. Victor Hugo's classic musical has stuck with her ever since. "The message can be applied to so many issues we deal with today," Dempsey says. "You hear these songs that make you want to get up, take charge of your life and do something important — to rise up and look forward to the future, even during miserable times." "Les Miserables" will open at Gresham High School Friday, March 9, marking the last production in the school's current theater. In April, the longtime performing arts space will be decommissioned to make way for a new theater. "'Les Miserables' is a challenging musical to produce but one Dempsey and Janine Kirstein, Gresham's choir and vocal director, had wanted to do for a long time. "This felt like the right time," Dempsey says. "We have a talented group of students who have amazing voices, and we wanted to showcase that." Set against the backdrop of 19th-century France, "Les Miserables" tells an enthralling story of broken dreams and unrequited love, passion, sacrifice and redemption. The story has been called a timeless testament to the survival of the human spirit. Gresham's production features a cast of 56 — including three grade-school actors — an orchestra of 20 and a crew of 30, along with numerous parent and community volunteers. Costumes are true to Victor Hugo's story, ranging from tattered and torn to majestic outfits depicting 1800s Paris. The set has a similar feel, illustrating the rugged streets of Paris and French walls of the city. Each of the cast members pitched in on building and painting the set. Senior Mat Cornett plays Jean Valjean, an ex-convict turned force for good. Cornett describes Jean Valjean as the role of a lifetime for him. "Many musicals are happy-go-lucky," Cornett says. "This is more about the art of the human soul and expressing pain through art. I think one of the biggest things this play shows is the spark of human kindness that all of us have." Chloe Hallberg, a junior, portrays Eponine, the eldest daughter of the Thénardiers, who is in love with Marius. "She's really loyal and strong," Hallberg says. "She has these deep morals despite her upbringing." Junior Tess Wix plays Cosette, a character she says represents the light and love of the show. "I've loved the show since I was little," Wix says. "It means a lot to me to bring this production together — it's so deep and bonding." 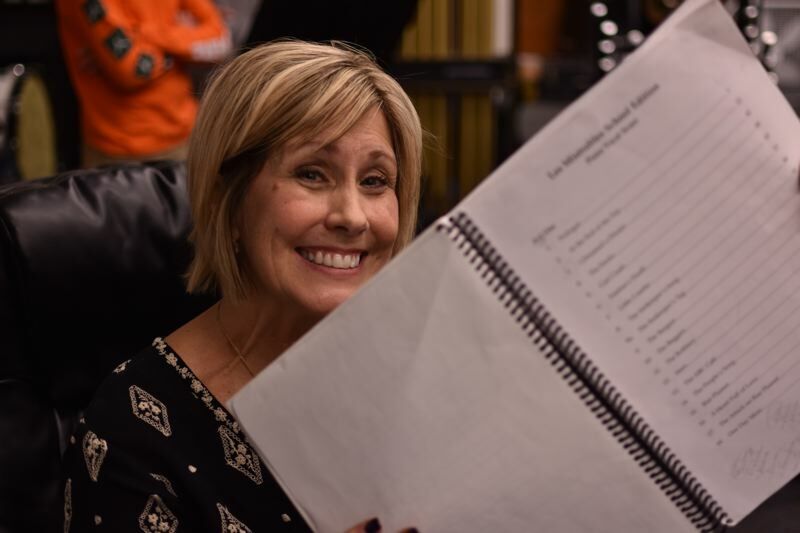 After teaching her students about the classic musical she came to love as a high school student, Dempsey hopes the message of "Les Miserables" will speak to audience members. "I hope audiences are uplifted and realize that if they're going through difficult times, they have the power to overcome them," Dempsey says. "Love really conquers all. Love for each other helps us get through the most miserable of times." 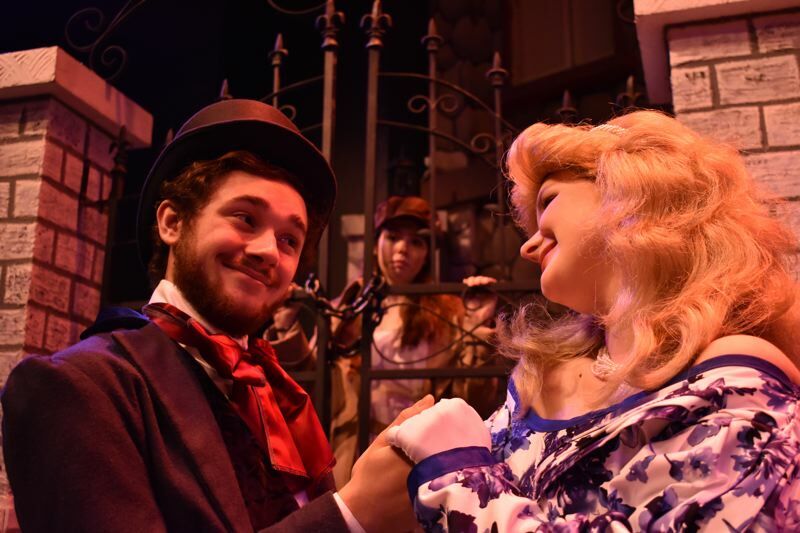 What: Gresham High School Performing Arts presents "Les Miserables"